We’ve known for some time now that YouTube stars have far more sway among tomorrow’s adults than your dumb little J-Laws and Chris Pratts. They’ll soon have more sway among Wall Streeters, too: Endgadget reports that PewDiePie, a YouTube star who records his reactions to playing video games for a living, made about $7.4 million in revenue last year. So, let’s all take a moment and congratulate ourselves on all the years of hard work we’ve put into our careers, because PewDiePie took a nap today, played some Arkham Knight, and likely raked in more from that than we will all year. 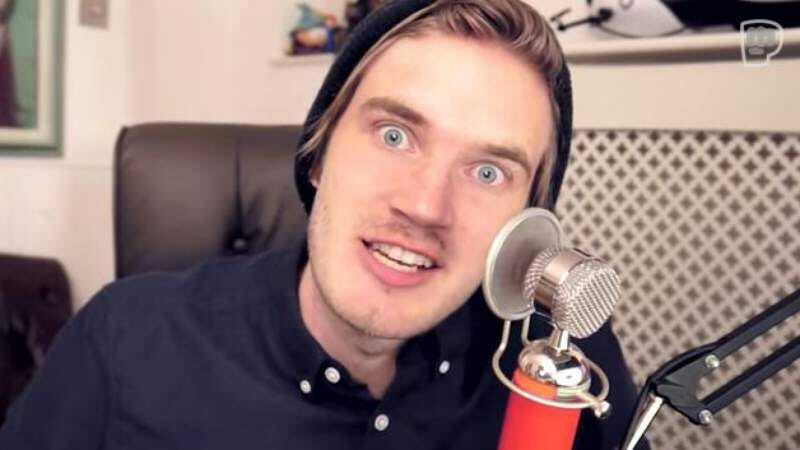 PewDiePie, who in real life (or “pointless life” as it’s increasingly known) is a Swedish 25-year-old named Felix Kjellberg, would be much easier to hate if he didn’t seem like a relatively innocuous person. (Although he does refer to his fans as the “bro army,” which we can only hope means that bros in Sweden are far different than in the U.S.) He does a lot of charity work, and he announced last year that he and his fans had raised more than $1 million for various charities, including “the World Wildlife Fund, Save the Children, St. Jude hospital and Charity: Water.” Charity: Water specifically thanked Kjellberg for helping get clean water to 10,028 people in Rwanda. Basically, we’re going to stifle our irritated envy and disbelief at his outsized success and grudgingly accept that the world has passed us by. Kjellberg is putting out a book later this year called This Book Loves You, a collection of “inspirational quotes that he’s said over the years as an online personality.” It includes such gems as, “Don’t be yourself. Be a pizza. Everyone loves pizza.” And just like that, we feel a little more justified in begrudging him his success.